Updated RCSB PDB 3D structures, AMR gene predictions (CARD 3.0.1 using RGI 4.2.2 that uses bit score cutoff instead of e-value), drug targets (DrugBank 5.1.1), human homologs (based on Ensembl 94) . Important Notice: Please note there will be a major two or three day downtime taking place between Dec 17 to 20 (originally scheduled for Dec 11 to 13) to implement a major move of our services to new hardware and associated infrastructure. If you have any concerns please contact us and we will try and help where possible. Thank you for your understanding as we work to ensure robust services and we apologize for any inconvenience. New feature. Diamond blastp search results now show an image of the subject protein's genomic context similar to the gene overview page. New feature. Pseudomonas Ortholog Group data can now be downloaded in fasta format. Tab- and CSV-delimited formats also include amino acid sequence in last column. Updated UWGC transposon insertion annotations to latest version based on the PA_two_allele_library5 spreadsheet at the Manloil lab website. Latest library contains 9429 insertions versus 9425 in the previous version. Fix introduced for error occurring when advanced searches attempt to filter results to only include drug targets. Pseudomonas Genome Database version 17.2 released with focus on updating names for Type VI secretion system genes in PA14 and recently described ncRNAs. Updated InterPro motif predictions based on InterProScan v5.25-64.0. Coverage expanded to include proteins from draft genomes. Updated computationally-predicted GO term annotations based on InterProScan v5.25-64.0. Coverage also expanded to include proteins from draft genomes. New manually annotated GO term annotations and transfer to identical proteins in other strains (indicated in evidence section). New entries added to our related links page for various P. aeruginosa reference collections at Public Health England. Fixed broken pathway download link that was always returning results for PAO1. Fixed bug where some columns were missing from downloaded strain data files. Maximum number of hits returned by DNA motif search tool has been increased from 2000 to 5000. Contact us by email for assistance with queries returning more than 5000 hits so that we can help you directly. New release with 100 manually-curated annotation updates. 788 new Pseudomonas isolates and strains added to the database (view all strains). Using annotations from DrugBank Version 5.0.5, we have identified 112,347 targets of 145 distinct drugs in Pseudomonas strains ( PAO1 example ). New and faster alternative to BLASTP/BLASTX searches of protein databases. You can now use DIAMOND, which is thousands of times faster at searching protein sequence databases. New functionality for downloading BLAST search results. Subject sequences aligned to query sequence OR complete subject sequences can now be downloaded in FASTA format. The aligned portions of query and subject sequences are also included as new columns in the CSV and Excel file downloads. PseudoCyc metabolic pathway mappings updated to version 19.5 (link). Format of hit sequence IDs in raw blast output changed to allow easier linking with other data sources. Each hit now contains locus tag, RefSeq accession and GI. 229 new Pseudomonas genomes added for a total of 2560. 164 manually curated annotations updates including new genes, product names, and subcellular localizations. 13 curated Gene Ontology (GO) annotations added. Updated 3D Structures from PDB. New and/or updated KEGG pathways based on release 81.0 (January, 2017) for 93 strains including PAO1, PA14 and KT2440. PseudoCyc metabolic pathway database contains new pathways and the software (PathwayTools) has been updated from version 16.5 to 19.5 to provide improved visualization, navigation and analysis tools. Fixed issue with server error occurring for ncRNA gene annotations. Added bug fixes for some instances where 3D structure and human homolog data was not displaying or was returning an error. More user-friendly visualization of orthologs. The top studied strains now appear at the beginning of the list, followed by alphabetical sorting by species name. Bug fixes for case where InterPro annotations were not all displaying on gene card and case where a filter by functional name of the results for functional domain mappings page was causing server error. New implementation of gene ontology annotation downloads in CSV and Tab-delimited formats to fix missing "GO term" field and increase processing speed. Searches using a protein's RefSeq accession or GI are back. You can once again enter them in any search form on this site including the form at the top of this page. 789 new Pseudomonas genomes added for a total of 2334. Updated our Pseudomonas Orthologs Groups (POGs) analysis to include 572 complete genomes and draft genomes having less than 100 contigs. 22 manually curated annotation updates including new genes, product names, and subcellular localizations. Fixed bug that sometimes caused server error when user clicked on "Sequences" tab of gene details page. Updated broken links to Pseudomonas Ortholog Database currently in beta status. Restored an option on the advanced search page to allow retrieval of proteins with no known 3D structure (for a specific isolate). This feature was available in the previous version of our database but had been inadvertently omitted from the new site. Due to damage caused by a storm, this website and the SFU emergency power supply were down between 07:00 and 18:00 PST on Tuesday, December 8 while repairs were conducted. Service restored after power outage on SFU campus. Power to much of SFU campus was disrupted at 21:00 PDT on Sunday, December 6 and negatively impacted campus IT services and the Pseudomonas Genome Database website for over 12 hours. Thanks for your patience during this time. New batch download options added. Reloaded RefSeq genomes with updated assemblies to fix problem with some sequence files being missing. 129 updates including new genes, product names, and subcellular localizations. New isolates. Added 619 complete and draft Pseudomonas genomes downloaded from NCBI RefSeq. Curated isolate metadata for isolation source, host organism, host disease status and geographical information. Downloads page updated. Provided links to GTF files containing intergenic regions and genes. The format of the sequence headers in the corresponding fasta files have been slightly adjusted to match the sequence identifiers in the GTF files. Fixed bug that was causing pseudogenes to not be shown in linear gene plots. Links to details about intergenic regions have been returned to the gene details images. We have enhanced this feature to include the ability to change the amount of region displayed (e.g. look further upstream into a gene, look further downstream, etc.). Added links to the motifs to allow searching for more occurences (e.g. search for more occurences of a TF binding site). BlastN search results and DNA Motif search results now contain a link to show all hits (highlighted in bold boxes) in context of their surrounding genes. To do this, simply click on the "Genomic Context" link under each matching sequence. Made some configuration changes to address server lag and downtime experienced yesterday and today. Service restored after lengthy power outage on SFU campus. Power to much of SFU campus was disrupted at 12:00 pm PDT on Saturday, August 29 and negatively impacted campus IT services and the Pseudomonas Genome Database website throughout the weekend. Thanks for your patience during this time. We have received feedback from users on how they would like intergenic region annotations to be viewed (e.g. similar to how they were on the older version of the site). A solution is being prepared for the near future that will take these suggestions into consideration. For now, gene details pages will contain annotations for upstream and downstream intergenic regions under the "motifs" tab. For example, when you are viewing a gene such as oprF. We also provide JBrowse and GBrowse links from gene details pages. These will bring you to a visual representation of the intergenic annotations which you can click on for more information (example). Please feel free to contact us and send any further suggestions. The latest version of the Pseudomonas Genome Database has left beta status and gone live. While the old site has been retired and is not being updated, it will be available for a short time at v2.pseudomonas.com. Fixed issue with server error occurring in advanced search when querying proteins by subcellular localization. Enhanced speed of subcellular localization search as well. Evidence of translation provided for 2965 P. aeruginosa PAO1 proteins based on HPLC-MS data from Kumari et al.(2014). Fixed bug that was causing some recently added PubMed references to not appear. 23 updates including new proteins identified using nanoflow high-pressure liquid chromatography (HPLC) in conjunction with microelectrospray ionization on LTQ XL mass spectrometer. Genomic coordinates reannotated for some ORFs based on RT-PCR evidence. Optimized time it takes to download ortholog data from the Orthologs page (under "Annotations By Category"). Posted new links to pre-generated ortholog files on the downloads page. Data for more strains will become available when our Pseudomonas Ortholog Group (POGs) and Ortholuge analyses are updated in a few weeks. Fixed broken download option for Blast search results. Clicking on link to download results in CSV,Excel,PDF,ODS or RTF format was returning ERR_INVALID_RESPONSE but now gives expected result. Added links to download raw Blast results in tab-delimited (-outfmt 6) and pairwise aligment (-outfmt 0) formats. Fixed bug in search forms where query strain was sometimes not being reset when the input box was cleared by user. Official release of 4118 manually-curated GO term annotations in which a majority (3457) belong to P. aeruginosa PAO1 and are derived from the Pseudomonas GO annotation initiative performed last year. A manuscript describing the community-based GO biocuration initiative is in preparation, however in the interest of open data we are releasing the annotations in advance of publication. We are pleased to announce the beta release of a new and improved Pseudomonas Genome Database containing annotations, sequences and metadata for hundreds of Pseudomonas genomes. 1) Expanded capability to view sequences and annotations for 939 complete AND draft genomes with more coming very soon! 2) Improved tracking of strain/isolate metadata. 3) New and updated annotations including high quality virulence factor annotations and manually annotated GO term updates. 4) New whole-genome computational analyses including the identification of pathogen-associated genes, proteins with 3D structures, subcellular localization predictions, functional domain mappings and biological pathway predictions. 5) Integration of new genome browser (JBrowse) with features well suited for viewing your own genome annotations (e.g. alternate gene annotations, quantitative data, RNA-Seq data, variant data). Note: We are also still maintaining GBrowse for those that still prefer to use it. 141 updates including new genes, product names, PseudoCAP functional classifications and references were added. Added virulence factor annotations obtained from the PHIDIAS Victors database. Added high quality annotations for 1143 transcription factor binding sites obtained from the CollecTF database. 233 updates including new genes, product names, PseudoCAP functional classifications and references were added. Our website is back up running after an unexpected network problem on campus. Sorry for any inconvenience experienced due to this outage. The server was down earlier today due to a network-related issue. We have addressed the problem and all resources appear to be functioning okay. Sorry for any inconvience . We would like to extend an invitation to all Pseudomonas researchers to participate in our 2014 Gene Ontology Annotation initiative. Annotate your favourite genes with GO terms in exchange for authorship on a paper! Annotation files are now available for download in GFF3 format. Ortholog download files have been updated to fix issue where some orthologs were missing. 44 updates including new genes, product names, PseudoCAP functional classifications and references were added to the P. aeruginosa PAO1 genome annotation. 1994 manually-curated gene ontology (GO) term annotations added to P. aeruginosa PAO1, of which 1042 have been experimentally demonstrated in P. aeruginosa. Curated GO term annotations transferred to conservative Pseudomonas Ortholog Group (POG) orthologs in other P. aeruginosa strains. New search form: Browse PseudoCAP-curated GO terms. Curated GO term annotations for P. aeruginosa strains can now be downloaded in gaf version 2.0 format. Fixed bug where GO term (but not GO accession) searches were returning 0 results. 30 updates including new genes, product names, PseudoCAP functional classifications and reference were addeds to the P. aeruginosa PAO1 genome annotation. 112 manually curated Gene Ontology (GO) terms mapped to 129 genes. Added curations for the agtABCD, agtSR and magABCDEF operons. Updated analysis of Pseudomonas proteins having greater than 90% identity to proteins with known 3D structures in the RCSB Protein Data Bank. Updated database of PDB sequences of proteins with known 3D structure. Updated list of Pseudomonas proteins having human homologs (based on Ensembl release 73). Amino acid sequences for genes containing atypical start codons (e.g. GTG, TTG) were missing the initial methionine. This has been addressed and the database download files, gene records and BLAST databases have been updated with the correct sequences. The PseudoCAP functional classifications assigned to P. aerugionsa PA14 were inadvertently dropped during the August 1, 2013 annotation update. They have been re assigned to their respective genes and the annotation files available for download have been updated. Updated analysis identifying pathogen-associated genes in 9 Pseudomonas strains annotated as being pathogenic (more details). Added complete genome sequences and annotations for 12 recently sequenced Pseudomonas strains for a total of 48 genomes in this database. In the Genome Projects Overview, added ability to toggle between all Pseudomonas Genomes and only those found in the database. Updated Conserved Domain Database predictions based on CDD Version 3.10 [21 MAR 2013] from NCBI. 33 annotation updates updates to P. aeruginosa PAO1 genome. 350 specific Gene Ontology (GO) terms manually mapped to 129 Class 1 proteins from the "Transcriptional Regulators" function class. Started process of linking individual references to each curated GO term. Gene cards contain new links to OrtholugeDB. From this link, you can access a comprehensive list of predicted orthologs, in-paralogs, pre-computed ortholog groups and other analyses in bacterial and archaeal strains. Our lab's IslandViewer software for the computational identification and visualization of genomic islands has been updated. It's now possible to view annotations for virulence factor, antibiotic resistance and pathogen-associated genes on top of predictions for genomic islands. For example view the predictions for P. aeruginosa PAO1 or access others from the Browse Genomic Islands Using IslandViewer form on the "Browse Annotations" page. 2 annotation updates updates to P. aeruginosa PAO1 genome. Added ability to specify word size in blast searches. In order to search for short, nearly exact matches, consider dropping the word size to 6 or 7 for nucleotides or to 2 for proteins. New data and GBrowse tracks. View PseudoCAP-curated operon and promoter regions in GBrowse or under "Operons/Regulons" tab of gene pages. New ability to view RNA-Seq data in GBrowse. For example, view results from the study by Wurtzel, et al., 2012 (PMID:23028334) in Pseudomonas aeruginosa PA14 GBrowse. You can now upload RNA-Seq data (BAM file format) to GBrowse and view it in parallel with other genomic features. For an explanation on how to do this, see this overview. New data and search feature - Added all known 3D structures with greater than 90% similarity to Pseudomonas species' proteins. Based on structure data downloaded from the RCSB Protein Data Bank. For example: View a complete list of genes encoding proteins with >90% similarity to proteins with a known 3D structure in all Pseudomonas strains or in strain PAO1. When performing an advanced search, you can now filter your results to only include proteins with known 3D structures. You can further filter this list by specifying limits such as a specific subcellular localization or whether the gene is/isn't essential. 78 additional PAO1 and PA14 genes have been annotated as virulence factors for a total of 264. A list of can be viewed and/or downloaded by using the "Browse Virulence Factors" form on the browse genome annotations page. Updated RBBH and ortholog predictions to include the 12 new strains. CDD updated to release 3.08, TIGRFAM updated to v.13.0. Added annotations and sequences for an additional 12 complete Pseudomonas genomes. Updated list of experimental expression data for the strain summary pages. New links to individual datasets and sample pages at NCBI GEO database. 41 PA14 genes annotated as virulence factors. New regulatory motif data imported from the RegTransBase database (Genomics Division, Lawrence Berkeley National Laboratory ). Data consists of transcription factor binding sites and other regulatory interactions which have been manually curated and transferred to strains of the same species (when applicable) and may be viewed on intergenic region or gene details pages (example). The site was down this morning between 9:30AM to 11:15AM PST due to an unexpected campus-wide power outage. As of 11:30AM, full service appears to have been restored, however please contact us if you experience any issues. New analysis and search feature - View list of pathogen-associated genes for various Burkholderia strains. Based on the study "The association of virulence factors with genomic islands" (Ho Sui, Fedynak, Hsiao, Langille, and Brinkman (2009), PLoS ONE). Important note on this analysis: The list of genes defined as being pathogen-associated will change as more genomes are sequenced. This analysis will be updated at a later time in order to reflect this. We've been experiencing some issues with site loading time and BLAST search errors since the last update on March 5th. We've taken steps to deal with the issue and are continuing to monitor the site to ensure it has been fixed. Sorry for any inconvenience experienced during this period. If you continue to experience problems, please contact us. Links to Affymetrix GeneChip P. aeruginosa PAO1 Genome Array cross-references have been added. Gene cards contain information on protein physiochemical properties (molecular weight, isoelectric point, mean Kyte-Doolittle hydropathicity and net charge at pH 7). 52 updates to the P. aeruginosa PAO1 annotation. New subcellular localization compartment (Outer Membrane Vesicle) added. Assigned 388 P. aeruginosa PAO1 proteins mapped to this localization based on publication by Choi et. al. (PMID:21751344). Assigned additional 406 subcellular localization annotations for PAO1 proteins based on high throughput proteomic studies. Added new subcellular localization evidence field detailing details of how these localizations were determined. Identified 938 PAO1 proteins (including hypothetical proteins) that have evidence of translation based on proteomic studies. Added new "Evidence of Translation" field detailing references and methods used to detect these proteins. List of completed and in-progress genome projects has been updated. Downloadable annotation files (TAB-delimited and CSV) have new columns containing information on gene/protein length and protein physiochemical properties (molecular weight, isoelectric point, mean Kyte-Doolittle hydropathicity and net charge at pH 7). Fixed a bug that was padding references (PMIDs) column of annotation files with a "1". Updated ortholog predictions to include some missing P. aeruginosa LESB58 and P. putida KT2440 reciprocal best-BLAST hits. The ability to display all genomes in GBrowse has been restored. Sorry for any inconvenience experienced during this outage. The GBrowse viewer is currently undergoing a reconfiguration to address an ongoing server error. Unfortunately, it may be out of service during the period of September 23-26. When the problem is fixed,a notification will be posted. NEW FEATURE - The Pseudomonas Genome Database schema has undergone a significant upgrade in order to facilitate comparative genomics analysis of draft/incomplete Pseudomonas genomes. Note: Incomplete/draft genomes are often poorly annotated. Therefore, it is a good idea to supplement a text search with a BLAST or ortholog search. Comparative genomics analysis including predicted orthologs and paralogs can now be performed for both complete and draft genomes. SNPs and small indels in draft P. aeruginosa genomes (relative to PAO1 reference sequence) can also be viewed (example). NEW FEATURE - View secondary genomic features including inverted repeats, terminators, transposon insertion sites on detailed gene and intergenic region pages(example). Updated pre-computed whole-genome alignments based on the Mauve progressive alignment algorithm. Upgraded to GBrowse 2.38. This new version contains enhanced features for viewing and downloading track data. New protein domain predictions based on the NCBI Conserved Domains Database (CDD). This resource includes domain models from several external databases including Pfam, SMART, COG, PRK and TIGRFAM. These annotations can be viewed on individual gene pages or in GBrowse (example). 82 annotation updates to the P. aeruginosa PAO1 genome annotation. New printer-friendly view for individual gene records (example). NEW FEATURE - Download nucleotide and amino acid sequences for putatively orthologous genes in complete/incomplete whole-genome sequences and polymorphic isolates. You can also perform Muscle alignments of these sequences here on the site and directly import them into Jalview. Jalview is a multiple alignment editor that also facilitates principal component analysis, secondary structure prediction and calculation/viewing of phylogenetic trees. Updates made to the SNP viewer in order to allow filtering for non-synonymous mutations (example). New data - O-antigen biosynthesis locus data based on study by C.K. Raymond (2002) has been incorporated into the SNP view (relative to genes PA3140 - PA3161 in strain PAO1). Individual seroptye gene sequences and their orthologs in PAO1 may be downloaded from the respective gene card page, aligned using Mummer and further interrogated using Jalview. Added new GBrowse track linking genes to entries at the Pseudomonas aeruginosa cDNA ORF collection at the DNASU plasmid repository located at Arizona State University. This collections consists of sequence-verified ORFs in the recombinational cloning vector pDONR201. Important Update - New ability to view SNPs/small indels between strains of same species. We currently have this feature implemented for the reference strain Pseudomonas aeruginosa PAO1, whereby SNPs and indels identified by specific studies or whole-genome alignment (e.g. P. aeruginosa 2192) have been identified. SNPs occurring in coding regions are currently identified under the "polymophisms" tab on gene pages (example) but we soon plan to expand the scope to include non-coding regions. Please send any suggested improvements or comments on this new feature to pseudocap-mail@sfu.ca. Genome summary pages now include links to the NCBI Trace Archive as well as summaries of experiments from EBI ArrayExpress and NCBI Gene Expression Omnibus. Gene cards now feature tabbed browsing for easier navigation. Updated the list of completed and incomplete genome sequencing projects in the list of Pseudomonas genome projects. Fixed issue with some duplicate subcellular localization classifications being returned. Some downloadable text files had formatting errors (e.g. line breaks) that have been fixed. Updated all external (i.e. not PAO1 or LESB58) genome annotations using NCBI RefSeq genome annotations available as of 2010-07-02. Tool for downloading search results has been updated in order to increase speed of download for large result lists and allow easier parsing of text. As a result, column format has changed. Website will have to go down for an unscheduled maintenance at around 11 AM Pacific Standard Time. We anticipate the interuption to last for around 10 minutes and apologize for the inconvenience this may cause. Genome summary pages now include more detailed information and links for downloading data. New batch download feature: Ability to download high-precision ortholog predictions from links in genome menu pages (e.g. Orthologs under "Download" tab of PAO1 menu) as well as the main downloads page. Transposon library data for the Pseudomonas aeruginosa PAO1 (MPAO1) two-allele library has been updated in GBrowse. The Two-allele library was created as a subset of the original library and where possible, contains single colony purified isolates of two alleles of each PA ORF insertion. New analyses in GBrowse. Computationally-predicted Rho-independent terminators (TransTermHP) and palindromes (EMBOSS). Click here to view an example. Reference sections of gene summary pages now contain full literature citations (previously included just the PMID). Gene cards for Pseudomonas aeruginosa PAO1 genes now have links to gene specific NCBI GEO Microarray Expression Data. The navigation bar now includes drop down menus. 24 annotation updates to P. aeruginosa strains. Added P. putida GB-1 and P. fluorescens SBW25 genome annotations and analyses. Updated all other external genome annotations using NCBI RefSeq genome annotations available as of 2009-10-14. Updated PFAM predictions based on PFAM v.22. Closest human homologs recomputed using protein sequences from Ensembl v.56. Virulence factor data updated for Pseudomonas aeruginosa PAO1 based on the Virulence Factor Database (VFDB). Metabolic pathway data derived from the KEGG Metabolic Pathway Database has been integrated into the gene cards and the GBrowse view of external annotations. All pathways, including KEGG-derived pathways can be searched using the advanced Boolean search tool. The DNA motif search tool has been updated to allow searching for DNA motifs in all strains in this database. The results page has been updated and results can be downloaded in both comma-separated value and tab-delimited format. Integration of new links to IslandViewer view of analyses identifying genomic islands. IslandViewer is a computational tool that integrates two sequence composition GI prediction methods (SIGI-HMM3 and IslandPath-DIMOB4) with IslandPick, the three most accurate methods known for predicting genomic islands. New subcellular localization predictions based on PSORTb v.3.0 (manuscript in preparation). PSORTb v.3.0 can identify sub-category localizations in bacterial organelles and, for bacteria interacting with a host, differentiate proteins that are targeted to a host cell. The new version also exhibits higher sensitivity and genome prediction coverage compared to the previous version, with an average of 15% genome coverage increase for Gram-negative species. P. aeruginosa LESB58 GI numbers are now available in the database. The GI numbers for P. aeruginosa PAO1 have been updated. Incorporation of computationally-predicted operons from the Database of Prokaryotic Operons (DOOR) into gene cards (example) and GBrowse (example). 8 new annotation updates made to P. aeruginosa strains. New PseudoCyc entry: Carnitine Catabolism to Glycine Betaine. Fixed broken link to Pseudomonas Orthologous Groups (POGs) on gene cards. Fixed formatting of text on FAQs page. 92 new updates to P.aeruginosa PAO1, PA14, LESB58, and PA7 genome annotations. now only return genes which are greater than 500 bp. Drug target information is now available for P.aeruginosa PAO1 and can be accessed either by browsing by drug categories or by filtering the results of an advanced search to include or exclude genes that code for drug targets. New Pseudomonas Genome Database publication in Nucleic Acids Research 2009 Database Issue. When acknowledging use of the database, please cite the article by Winsor et al. (2009; PMID:18978025) and not the web site URL. Genes that are annotated as encoding for virulence factors have new details and external links given under "Function Classification" section of gene card. Pathway Tools Web Server which hosts PseudoCyc has been updated to version 12.5. This version of PseudoCyc includes the ability to create an optional user account that allows you to define and save how the site is presented. In addition, comparisons between PseudoCyc and other tier 1/tier 2 Pathway Genome Databases are now possible. PseudoCyc gene/product names and subcellular localizations have been updated. Incorrect gene coordinates/transcription directions, based on the original September 2000 genome publication data, have been corrected. Fixed a bug that was causing a search of "All general fields" from a simple search form to fail. Links to GBrowse view of annotations from gene cards has been fixed. This corrects a bug that resulted in small 50bp views of the genome being returned. Added Pseudomonas aeruginosa oprD, oprI and oprL allele sequence data from study by Jean-Paul Pirnay's group at the Laboratory for Molecular and Cellular Technology, Queen Astrid Military Hospital, Brussels Belgium. Pseudomonas aeruginosa PAO1 metabolic pathway data from our sister database, PseudoCyc has been imported into this database. Added ability to search for genes that are in PseudoCyc metabolic pathways using form on advanced search page. Note that current searches (e.g. pathway = 'arginine') may return super-pathways containing your search criteria such as "Arginine and proline metabolism". Metabolic pathway data and links to PseudoCyc have been added to gene cards. Tab- and csv- delimited files on the downloads page have had the pathway column updated to include this information. Added new tool (GBrowse_syn) for viewing whole-genome alignments. GBrowse_syn is a GBrowse-based synteny browser designed to display multiple genomes, with a central reference species compared to two or more additional species. The current gbrowse_syn view is of a mauve-based whole-genome aligment of P. aeruginosa strains PAO1, PA14 and PA7. For more details on this application, please visit the gbrowse_syn home page on the GMOD website. Advance publication of the Pseudomonas aeruginosa LESB58 genome sequence appears in the December, 2008 issue of Genome Research. Craig Winstanley, Morgan G.I. Langille, Joanne L. Fothergill, Irena Kukavica-Ibrulj, Catherine Paradis-Bleau, François Sanschagrin, Nicholas R. Thomson, Geoff L. Winsor, Michael A. Quail, Nicola Lennard, Alexandra Bignell, Louise Clarke, Kathy Seeger, David Saunders, David Harris, Julian Parkhill, Robert E.W. Hancock, Fiona S.L. Brinkman, and Roger C. Levesque (2008). Newly introduced genomic prophage islands are critical determinants of in vivo competitiveness in the Liverpool Epidemic Strain of Pseudomonas aeruginosa. Genome Res. Published in Advance December 1, 2008. 4 new annotation updates for P. aeruginosa PAO1. New whole-genome alignment of P. aeruginosa PAO1, PA14 and LESB58 strains using Mauve. Click here to download and view this and other whole-genome aligments. PFAM predictions for all genomes have been updated using a Reversed Position Specific Blast (v.2.2.18) search of the NCBI database of position-specific scoring matrices for sequences of known PFAM classification (based on PFAM v.22.0). RPS-BLAST search of the NCBI database of position-specific scoring matrices for sequences of known COG classification (based on COG v.1.00) using new protein sequences not yet analysed. Updated TIGRFAM predictions using Hmmer search of TIGRFAM Datatabase of protein families (Version 8.0). New Gene Ontology mappings to TIGRFAM Accessions. Fixed bug with advanced search using gene ontology terms. Downloads page updated: EMBL download format added. TAB- and CSV-delimited formats updated. PSortB subcellular localization predictions are included alongside Class 1 and Class 2 localizations. PseudoCAP function classifications and Gene Ontology data merged into "Function Classification / Gene Ontology (GO)" box. GO terms are now mapped with their respective evidence codes. PseudoCAP-derived structural features and PFAM predictions merged into "Structure Features" section. PubMed references, cross-references and links to alternate annotations have been moved to the bottom of the gene card page. Stacked view of orthologs updated to facilitate simultaneous on-screen viewing of more orthologs. If you experience any problems with these new layouts, please contact us. The acknowledgements page has been updated. 41 new annotation updates for P. aeruginosa LES. The Pseudomonas syringae DC3000 annotation was updated based on RefSeq release NC_004578.1(20-JUL-2008). PsortB subcellular localization predictions (Class 3) can now be viewed for proteins with Class 1 or Class 2 subcellular localization classifications. Pseudomonas ortholog group (POG) members with lengths less than 1/4 the median length of group members are now flagged as possible ortholog fragments. Loaded sequences for 500bp regions upstream of Pseudomonas fluorescens Pf-5 genes. A bug that prevented some Blast searches from returning hits has been fixed. Locus tags for Pseudomonas fluorescens Pf0-1 have been updated to match the format used in the latest RefSeq release at NCBI. Pseudomonas fluorescens Pf0-1 annotation updated based on RefSeq release NC_007492.1 (2008-09-18). Please note that we recently implemented changes to the database to allow search engines to index data on our site. However, some downtime has occurred as we fine tuned what the search engines can access, to avoid overly heavy use by them during their indexing processes. We apologize for any inconvenience caused during this time. GBrowse annotations for Pseudomonas aeruginosa LES genomic islands/prophage regions and STM mutants have been corrected. 48 new annotation updates for P. aeruginosa PAO1. New ortholog group classification system for Pseudomonas orthologs. For more details, click here. The Pseudomonas Genome Database now facilitates whole-genome alignment by incorporating pre-computed, whole-genome alignments based on the Mauve software package (Darling,A.C. 2004). Using a Java applet developed by the Mauve developers, Pseudomonas species whole-genome alignments can be downloaded and viewed without a local installation, although a recent version of the Java Runtime Environment is necessary. Results search limit increased from 8,000 to 30,000 hits. Added genome annotations for Pseudomonas aeruginosa Liverpool Epidemic Strain, including new computational analyses for each genome (PSORTb-predicted subcellular localization, COG, PFAM, TIGRFAM, reciprocal best blast hits). All locusIDs for Pseudomonas putida KT2440 have been updated to match the current NCBI convention, meaning all PP#### are now PP_####. Annotations for 5 new genomes have been added to the database as well as new computational analyses for each genome (PSORTb-predicted subcellular localization, COG, PFAM, TIGRFAM, reciprocal best blast hits). These computational analyses can also be viewed as tracks in GBrowse. 36 new annotation updates added to the database. Due to an error where the reverse complement of nucleotide sequences for reverse strand genes was being displayed, we have updated the P. fluorescens Pf-5 and P. syringae pv. phaseolicola 1448A nucleotide sequences with Refseq versions NC_005773.3 and NC_004129.6 downloaded from NCBI. We apologize for any inconvenience. Combined Search - Interface used to search both Pseudomonas and Burkholderia Genome Databases. Stacked view of predicted orthologs and adjacent genes to allow easy comparison of gene order and subcellular localization between these genes. Click here for an example. "Flip All" feature in clipboard and orthologs page that allows you to flip the orientation of all genes in a single click. Closest Human Homolog analysis now performed for all genomes in this database. In order to make the data more easily visible, we have provided links to the closest human homolog available from each gene card page with option of viewing BLAST report. It is now possible to filter for transposon mutants and/or human homologs in desired species without specifying any other input in the search interface. The filter for all genes without transposon mutants is useful for obtaining a list of putatively essential genes. Please note that this is currently available for P. aeruginosa PAO1 and PA14 strains only. Added links to WebACT (whole genome alignment tool). Maximum number of search results changed to 8000 (from 6000). Updated to GBrowse version 1.68. Links to SYSTOMONAS added to gene card page. Updated links in Related Links section. PFAM and COG analyses updated using latest versions of RPS-Blast databases available at NCBI (2007-08-11). For those interested in pathogens of relevance to Cystic Fibrosis, note that a sister database for Burkholderia has been recently created. You can access it at www.burkholderia.com. Two weeks to the ASM conference on Pseudomonas in Seattle, Washington (August 26-30, 2007). For more details on this meeting, click here. 13 updates to the Pseudomonas aeruginosa PAO1 genome annotation. New PRODORIC GBrowse track to display new and updated PRODORIC annotations for operons, regulons, binding factors and promoters. The Pseudomonas Genome database website experienced a minor technical glitch today for about 2 hours which prevented users from viewing database records. The problem has now been fixed. We apologize for any inconvenience this may have caused and appreciate the quick feedback provided by our users which alerted us to this problem. Technical difficulties with viewing publication-quality images of GBrowse tracks have been fixed. Fixed links from individual gene cards to GBrowse view of Pseudomonas aeruginosa PAO1 and PA14 transposon mutants. List of Pseudomonas genome projects that are complete or in progress has been updated. 60 new and updated annotations added to Pseudomonas aeruginosa PAO1 annotation. This includes 17 new sRNA genes based on publication by Livny et al. (2006) . Updated the sequence retrieval input and results pages. Added ability to search Pseudomonas syringae DC3000 plasmids. Fixed sequence retrieval tool in order to accomodate recent changes to database schema. New feature on gene card pages: View 500 BP region upstream of every gene. When comparing multipe genes on the clipboard, you will now have the option to align all of the 500 BP regions upstream of these genes. New GBrowse tracks: Ability to link to intergenic region nucleotide sequences has been enabled for all genomes in the database. Pseudomonas Genome Database version 2.3 released. These computational analyses can also be viewed as tracks in GBrowse. Pseudomonas syringae DC3000 genome annotation updated using Refseq Version NC_004578.1 (updated on 06-OCT-2006) available at NCBI. The P. syringae DC3000 genome annotation is continually updated by the Pseudomonas-plant Interaction project (coordinated by Magdalen Lindeberg) and this group serves as the source of updates to the genome annotation at NCBI. Please note: when submitting updates for this genome, submit to the Pseudomonas-plant Interaction website. P. syringae DC3000 locus tags changed from format PSPTOXXXX to PSPTO_XXXX to match format used at NCBI. Added annotations for plasmids pDC3000A and pDC3000B based on Refseq versions NC_004633(05-OCT-2006) and NC_004632(05-OCT-2006), respectively. These annotations are also based on data provided to NCBI by the Pseudomonas -plant Interaction project. One new annotation update for Pseudomonas aeruginosa PAO1 genome annotation added. Updated evidence references: Replaced Medline reference IDs with their respective PubMed references IDs. These values were obtained from MuId-PmId files (timestamp 1/13/2004) downloaded from NCBI (ftp://ftp.ncbi.nih.gov/pubmed/). View putative orthologs of a gene product based on reciprocal-best-BLAST hits (for all genomes in this database) and higher quality Ortholuge analyses (done for P. aeruginosa PAO1, P. fluorescens Pf-5, P. putida KT2440, P. syringae DC3000, P. syringae B728a and P. syringae pv. phaseolicola 1448A) by linking directly from gene cards. Updated ortholog tracks can also be viewed in GBrowse. BLAST search updated in order to facilitate searching of genomes with more than one replicon. Maximum number of search results changed to 6000 (from 5000). Annotation search forms changed in order to allow you to bookmark the URL of the search results page. This will allow results to be repeatedly viewed without re-entering your query. Hard-coded links to v2.pseudomonas.com removed and replaced with www.pseudomonas.com. Removed original Pseudomonas aeruginosa PAO1 (September 2000 - the version that is not updated) from list of genomes that simple keyword search is performed on. The original annotation can still be searched using the advanced Boolean search. Pseudomonas aeruginosa PA14 genome annotation updated based on the October 13, 2006 annotation available at NCBI. Genome sequence publication for PA14 published in Genome Biology by Lee et al.(2006) . Fixed TIGRFAM and COG links on gene card page. PseudoCyc Version 10.0 released. Upgraded to Pathway Tools version 10.5. Added 1013 new computational operon predictions derived from PathoLogic (part of the Pathway Tools software package) to PseudoCyc. New GBrowse track to display PathoLogic operon predictions and link to PseudoCyc. Added 97 computationally-predicted transporter proteins and 54 computationally-predicted transport reactions to PseudoCyc. These were identified using PathoLogic's Transporter Identification Parser (part of the Pathway Tools software package). Gene pages updated. New links to NCBI taxonomy database and RefSeq database entry for all replicons. Database schema updated to make RefSeq accession number the unique identifier for each replicon in the database. Log search engine updated to allow searching by specific dates without specifying keywords. Also added a feature for user to specify whether computational predictions should be included in the log search results. Made Refseq Accession the new unique identifier for replicon table and added ability to link to NCBI RefSeq database from gene pages using this identifier. Made NCBI taxonomy ID the unique identifier for the species information table. Added ability to link to NCBI taxonomy browser from gene page using taxonomy ID. Mapped gene locus tags to TIGR CMR locus tags. Updated corresponding gene pages to link to TIGR annotation at CMR database. 11 new annotation updates added to the database. New links to IslandPath analyses for Pseudomonas genomes hosted by this web site can now be found on the related links page. IslandPath is a graphical tool that aids in the identification of genomics islands, including pathogenicity islands, of potentially horizontally transferred genes. Version 9.6 of PseudoCyc is released. For details on these updates, click here. Updated the sequence retrieval page to enable querying of minus strand by entering large number followed by small number versus specifying reverse complement in the check box. Fixed bug that prevented all three reading frames from being returned when doing translation of reverse complement. Image of chromosome on index page now links to image maps of Pseudomonas aeruginosa PAO1 genes (similar to what was done on the Version 1 of the website). New annotation updates. 78 Enzyme Commission (E.C.) numbers mapped to Pseudomonas aeruginosa PAO1 proteins. 41 new annotation updates based on literature review and submissions from PseudoCAP participants. Subcellular localization of highly similar gene experimentally demonstrated in another organism OR to a paralog experimentally demonstrated in the same organism. BLAST expect value of 10e-10 for query within 80-120% of subject length. Note: This change in Class 2 subcellular localization confidence does not apply to product name confidence. New link to ribonucleotide reductase database (Department of Molecular Biology, Stockholm University, Stockholm, Sweden). 6 new annotation updates and one new gene (PA0195.1, pntAB). For details, please view the new updates in our updates log. 20 updates made to the Pseudomonas aeruginosa PAO1 genome annotation. Updated the gene card page for individual records. Removed hyperlink from unpublished manuscripts in evidence reference section. Also moved GO IDs into the TIGRFAM section since they are mappings from TIGRFAM IDs. This will help to distinguish them from the higher-quality PseudoCAP GO assignments provided by the Gene Ontology Consortium. Edited links to sequence files on downloads page. Updated the amino acid sequence and intergenic DNA sequence files for Pseudomonas aeruginosa PAO1. Added new integenic sequence file for Pseudomonas aeruginosa PA14. Genome projects table updated. Pseudomonas fluorescens Pf0-1 and Pseudomonas entomophila L48 projects' sequencing status changed from 'Incomplete' to 'Complete'. Added the new Pseudomonas aeruginosa PA7 genome project by TIGR (Sequencing status: Incomplete). Please note that sequences and annotations for these projects have not yet been added to the Pseudomonas Genome Database. New Pseudomonas aeruginosa PAO1 export signal data added based on computational predictions and PhoA fusion studies by Lewenza et al (2005) . Data includes 801 predicted Type I signal peptides predicted by at least 3 of 4 computational methods (SignalP v.3.0's neural network and hidden Markov model implementations, LipoP v.1.0, and Phobius) and 185 Type II (lipoprotein) export signals predicted by LipoP v.1.0. In addition, 24 manually identified Type IV (prepilin peptidase substrate) export signal motifs and 16 manually identified twin arginine transporter (TAT) motifs were added to the database. 1042 proteins predicted by Phobius and/or TMHMM to have at least one transmembrane helix were noted. 295 of the above computationally predicted export signals were validated by alkaline phosphatase (PhoA) fusion screens (Note: A PhoA fusion screen method will of course not identify all exported proteins). All of this data is available under the "structure features" field of a given gene card. For example, search for "PhoA" under the structure features field in a Pseudomonas aeruginosa PAO1 database search, or see an example of the data for one gene card here . New link to Pseudomonas aeruginosa PA14 non-redundant transposon insertion mutant library under related links. Added new GBrowse track for Pseudomonas aeruginosa PA14: Non-redundant transposon mutant library created by Ausubel lab (Harvard University). Added ability to filter results by presence/absence of transposon mutants for Pseudomonas aerugionsa PA14 advanced searches . Changed search interface: Moved drop down box for transposon filtering from bottom to top of advanced search box. Related links section updated to add new links for Pseudomonas syringae genome annotation projects (DC3000, B728a and 1448A). New link to potential human homologs (simple top BLAST hit to human) of Pseudomonas aeruginosa PAO1 proteins under related links section. New search feature: Ability to filter advanced search results based on presence/absence of a transposon mutant insertion from two libraries (Pseudomonoas aeruginosa PAO1 TN5 lux transposon mutant library generated by the Hancock Lab (UBC) and P. aeruginosa PAO1 phoA/lacZ transposon library generated by the University of Washington Genome Centre). One application of this filter is to return putative essential genes in combination with other search features. We hope to include more transposon mutant libraries for more strains in this filter as they become available. New field associated with each individual gene card stating if a transposon mutant is available. If so, a link displaying the insertion site in GBrowse is provided. Updated annotations for Pseudomonas aeruginosa PA14 to include the gi number and a unique sequencing center gene id for each gene. Added a link to each gene's card at the PA14 sequencing center. Finished installing CVS client on server. Web site deposited in remote CVS repository. New ortholog predictions replace reciprocal best blast hit (RBBH) analyses for Pseudomonas aeruginosa PAO1. 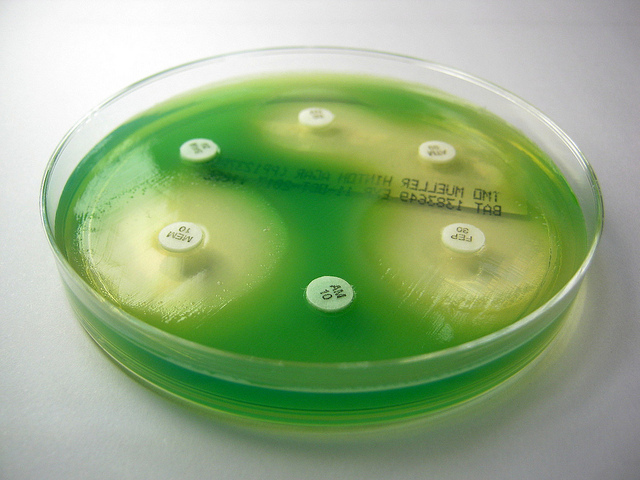 These are computationally-predicted putative Pseudomonas spp. orthologs based on a high-throughput computational method named Ortholuge that further evaluates previously predicted orthologs (including those predicted using an RBBH-based approach as was the case for these analyses) identifying which orthologs most closely reflect species divergence and may more likely have similar function (view legend). When there is no Ortholuge prediction available, a recriprocal best BLAST hit may be included. This data may be viewed in the context of 6 new tracks in GBrowse. 138 updates made to the Pseudomonas aeruginosa PAO1 genome annotation. 121 updates consist of new Class 1 localization data based on literature review. Updated PseudoCyc schema to facilitate an upgrade to Pathway Tools version 9.5. Gene and product names in PseudoCyc database of metabolic pathways have been updated to include latest annotation updates. Genomic DNA sequence and base pair coordinates updated to accommodate last year’s sequence correction (nucleotide insertion at position 2669175). Added subcellular localization data, PseudoCap functional classifications and comments to PseudoCyc. Added PubMed evidence references to PseudoCyc. - Enhancements to the Cellular Overview diagram including improved viewing of microarray and proteomics data. Pseudomonas Genome Database Version 2.2 is released. New interface for viewing and sorting results returned by BLAST search tool. - Output from a protein database search can now be viewed as a list of proteins (with gene name and locus ID) along with the details of each alignment (expect-value, bit score, % identity, etc). In addition, the results can be added to the clipboard utility for further analysis/viewing. - Output from nucleotide sequence database search is viewable in a list format with links to GBrowse view of each aligned region. Note: A downloadable file containing the full BLAST output including pairwise alignments is still provided with each search. - Added function that retrieves and displays sequence alignment for individual blast search results when using this interface. The full output including alignments for all results can still be downloaded as a text file from the same page. New track for Pseudomonas aeruginosa PAO1 GBrowse that links to Blueprint's Small Molecule Interaction Database (SMID). Each glyph links to a list of predicted binding sites for small molecules. New link added to subcellular localization track in GBrowse and subcellular localization entry on individual gene cards. Proteins with a localization rating of Class 2 or Class 3 now contain a link to cPsortDB, a database of computationally-predicted subcellular localization predictions. Genome projects page updated to include more details (date when strain added to database/date strain last updated in database) and ability to sort. In addition, four new entries (Pseudomonas aeruginosa 2192, Pseudomonas aeruginosa C3719, Pseudomonas aeruginosa clinical isolate pacs416 (early) and Pseudomonas aeruginosa clinical isolate pacs5296 (late)) have been added to this page. Added ability to export results from updates log search to tab-delimited file. Fields that are exported include locus ID, genome, chromosome, update description, date of update and names of individuals that submitted the annotation to the database. Edited the Downloads page in order to compact information contained in tables. Added links for download of Pseudomonas aeruginosa PA14 annotation files. Created separate web page for viewing or editing contents of clipboard. The clipboard can now be accessed through a link called "view my clipboard" at the top right corner of most web pages on this site. In addition, it is now possible to add annotations to the clipboard from the individual gene card pages. Added option to flip the orientation of gene images, drop annotations and download clipboard annotations to text file from annotation comparison page. New interface for retrieving genomic DNA sequences as well as DNA or protein sequences for specific ORFs. Using this tool, users can retrieve sequences for any of the genomes in this database. Fixed bugs on geneRecord.jsp and compareAnnotation.jsp pages that prevented linking to pre-formatted blast page when using Internet Explorer browser. Problems arose when attempting to perform blast search using very long nucleotide sequences since Internet Explorer browser has limit on length of query string. Changed form submission method from 'get' to 'post'. Correction made to Pseudomonas aeruginosa PA14 genomic DNA sequence (error in downloadable FASTA files as well as the nucleotide sequence BLAST database). Previous files on this site contained the reverse complement of the correct genomic DNA sequence. We apologize for any inconveniences this caused. Removed duplicate PubMed references associated with single ORFs from database. Updated the list of genome projects to reflect change in status of Pseudomonas aeruginosa, Liverpool Epidemic Strain (shotgun sequencing complete) and Pseudomonas fluorescens Pf0-1 (Sequencing complete). Added ability to search Pseudomonas syringae pv. tomato DC3000 updates (from September 29, 2005). Please note that we are not currently accepting submissions for the P. syringae DC3000 genome. Please direct submissions for updates to the Pseudomonas syringae pv. tomato DC3000 genome project website. Set up Struts Message Resources to store error messages and names of downloadable files in a centralized configuration file. Edited download.jsp, search.jsp and /updates to display these messages. Corrected bug in updates log search engine that caused engine to crash when performing boolean search. Corrected bug in updates log search engine that prevented some updates from being returned. 14 annotation updates for the Pseudomonas aeruginosa PAO1 genome have been added. 4 new annotations for small, untranslated regulatory RNAs have been added to the PAO1 genome annotation. Annotations for two new genomes have been added: Pseudomonas aeruginosa PA14 (courtesy of Ausubel lab, Harvard Medical School) and Pseudomonas syringae phaseolicola 1448A (chromosome, large and small plasmids; downloaded from NCBI). In addition to the data provided by their respective genome projects, new computational analyses have been completed for each genome (PSORTb-predicted subcellular localization, COG, PFAM, TIGRFAM, Gene Ontology predictions and putative orthologs/reciprocal best blast hits) and added to the database. These computational analyses can also be viewed as tracks in GBrowse. Note: These annotations are subject to change. While we are not currently accepting annotation updates for these genomes from individual researchers in the community, we may receive updates from the associated genome centers. If you wish to make an update, please contact the genome sequencing center first. Updates have been made for 86 Pseudomonas syringae DC3000 gene and product names. Most updates are based on changes to Hrp outer protein (Hop) effector protein nomenclature (Lindeberg et al, 2005 ). Updated GBrowse application for viewing tracks of annotations from Version 1.61 to 1.62 and moved it to the same server that hosts this website. Tomcat 5.5 and Apache 2.0 webservers have been successfully integrated on a single server. Apache will handle all incoming requests and forward requests for JSPs to Tomcat. DNA motif search tool moved to this server. Updated page that the form is on to match the look of the new web site. New page listing Pseudomonas genome projects that are completed or in progress. If you have any updated news on these projects. Please contact us. Pseudomonas Genome Database Version 2 goes live! In addition to the new features found in Version 2, it should still do everything that the older version can do. Note: The original Version 1 of the Pseudomonas genome database will remain available for approximately one year from this date. 4615 new COG predictions added for Pseudomonas aeruginosa PAO1 based on Reversed Position Specific Blast (RPSBLAST; blast version 2.2.10) using cutoff of 1E-4. 2448 new TIGRFAM classifications added for Pseudomonas aeruginosa PAO1 based on TIGRFAM Classification using Hmmer (Version 2.3.2) to search TIGRFAM database of protein families (Version 4.1) with a cutoff of 1E-4. 4066 new PFAM predictions for Pseudomonas aeruginosa PAO1 based on Reversed Position Specific Blast (RPSBLAST; blast version 2.2.10) using cutoff of 1E-4. 1501 new gene ontology classifications for Pseudomonas aeruginosa PAO1 based on mapping of current TIGRFAM Accessions to one or more GO IDs provided in lookup table (TIGRFAMS_GO_LINK: 3/7/2005) downloaded from the TIGR FTP site at ftp://ftp.tigr.org/pub/data/TIGRFAMs/. New GBrowse track: Operon Finding Software V1.2 Predictions. The data is based on a computational analysis performed using Operon Finding Software V1.2 developed by Jeremy Buhler at Washington University in St. Louis. The glyphs on this track show the probability (P-value) that the adjacent left and right genes belong to the same operon. The downloadable comma-delimited file of updated annotations has been reformatted to include quotes around all data for easier parsing. A link to a file showing all data field properties has been included on the same page. 11 updates have been made to the Pseudomonas aeruginosa genome database. Due to a scheduled power outage, the web site will be unavailable on Saturday, April 30th, 2005 between 7 AM and 1 PM (PST). We apologize for any inconvenience this may cause. The frequently asked questions (FAQs) page has been updated to include information explaining how to obtain nucleotide sequences for intergenic regions. GBrowse has been updated to include a track linking to the Pseudomonas aeruginosa PAO1 mini-Tn5 lux transposon mutant library developed at by Lewenza et. al (2005) of the Hancock Laboratory at the University of British Columbia. Please note that the Pseudomonas genome database website will be unavailable on Saturday, February 19th from 5am-4pm (PST) due to a planned power outage. We apologize for any inconvenience caused by this outage. 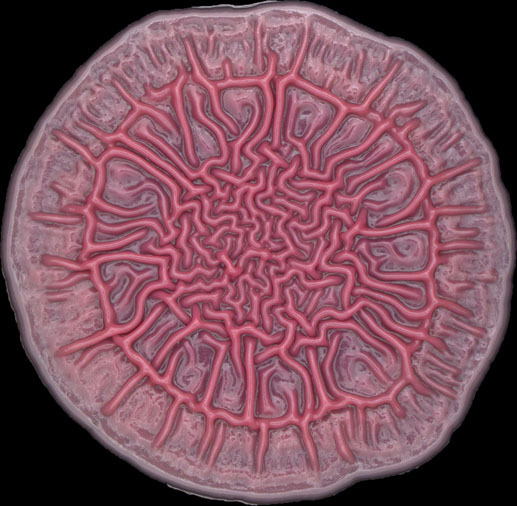 New subcellular localization data based on computational prediction using PSORTb v.2.0 software has been added to the updated database of genome annotations. Previous data based upon subcellular localization that has been experimentally demonstrated in P. aeruginosa (Class 1) or on a highly similar gene experimentally demonstrated in another organism (Class 2) will remain unchanged by this round of updates. Pseudomonas aeruginosa linear genomic map fixed: As a result of the recent annotation updates, a few HTML pages had some access permissions inadvertently changed which resulted in visitors to this site being prompted for a username and password when attempting to access the map. Please note that this problem has been addressed and there should be no problems accessing it now. 13 updates have been made to the Pseudomonas aeruginosa genome database. 34 updates have been made to the Pseudomonas aeruginosa genome database. The server hosting the PseudoCyc database went down at noon (Pacific Standard Time). While this technical problem is beyond our control, we expect that it will be corrected within 24 hours. We apologize for any inconvenience.Problem resolved at 3:30 P.M. (PST). PseudoCyc is back online. Putative ortholog data based on reciprocal best-BLAST hits has been re-analyzed and updated to include 380 more Pseudomonas syringae DC3000 orthologs and 393 more Pseudomonas putida KT2440 orthologs. This analysis can be viewed in GBrowse. A quick submission form has been developed for those who prefer to make an annotation update submission without going through the process of registration. In order to be properly acknowledged for your annotation submission and to view your submission history online, we encourage you to register for a free login ID. Two new tracks containing links to putative orthologs in Pseudomonas putida KT2440 and Pseudomonas syringae pathovar tomato DC3000 have been added to GBrowse . Please note that these are crude analyses based on reciprocal best-BLAST hits. We are currently unable to link directly to genes on the Pseudomonas syringae DC3000 genome project website and so have linked to the NCBI entries instead. However, we encourage you to also examine the relevant entry on the Pseudomonas syringae website, which can provide more information that is also updated. GBrowse has been updated to include data on the University of Washington Genome Center's Pseudomonas aeruginosa PAO1 phoA/lacZ transposon mutant library. New links have been added to the related links section. The operating system on our webserver has been upgraded to Windows 2003. Twenty three annoation updates have been made to the Pseudomonas aeruginosa genome database. The server hosting GBrowse and our DNA motif search tool was down yesterday. We have taken steps to correct this problem and the server is back online. We apologize for any incovenience. Temporary shutdowns of site scheduled: There will be a scheduled network upgrade between 7:00am and 8:00am (PST), March 30, 2004 at the SFU campus that will result in loss of access to the site. In addition there will be a scheduled power outage on the SFU campus on April 3, 2004 that will result in loss of web services. The power outage will begin about 5 AM (PST) and last for approximately 7 hours. We apologize for any inconvenience this may cause. The web site is back online.After a security breach on Sunday, February 29, 2004 the site was shut down while we took steps to improve security. We appreciate your patience and understanding and would like to apologize for any inconvenience. The KEGG Metabolic Pathways annotation in GBrowse has been updated. A missing G nucleotide was inserted at position 2669175. The downloadable updated sequence files have been edited in order to reflect this change. Six annotation updates have been added to the Pseudomonas aeruginosa genome database . December 16, 2003GBrowse and the DNA motif search tool will be down for a period of about 15 minutes on Wednesday, December 17 as we make upgrades to the server. Repairs to hardware on the public web server have been completed and the website has been moved back to it. Increased the speed by which records in the database are accessed on our web server by adjusting advanced option values for the Microsoft Access driver. The website has been temporarily moved to another server while repairs are made to hardware on our web server. The problems that we have experienced over the past month appear to stem from faulty motherboard capacitors - a problem appearing in many motherboards manufactured around two years ago. Please contact us if you experience a problem accessing any resources on this site. The DNA motif search tool has been put back online again. We would like to thank you for your patience while this service was down. We have been experiencing a technical problem for the past couple of weeks which may have resulted from one of our recent updates. In order to determine the source, we temporarily removed the DNA motif search tool from service. We encourage you to continue using the web site as this will help in our troubleshooting. We thank you for your patience as we work this out. October 8, 2003A link to the PseuRECa (Pseudomonas REannotation and Context Analysis) website has been added to the Related Links section of the site. Eight annotation updates have been added to the Pseudomonas aeruginosa genome database. The Annotation Updates section has been revised to include information pertaining to these new updates. A new DNA motif search tool has gone live. It performs a search of the updated Pseudomonas aeruginosa PAO1 genome database for matches to a variable length DNA consensus sequence entered by the user. The search tool returns a summary as well as detailed report containing information on all genes and intergenic regions that the motif falls in. The user also has the option of downloading a tab-delimited file of the results for further analysis. A new GBrowse track has been added (Additional Rho-independent terminators (Brinkman)). These are a subset of computationally predicted rho-independent transcription terminators obtained from the Brinkman lab at Simon Fraser University (Winsor and Brinkman, unpublished data). Updates have been made to annotation submissions that were added to the site on July 3/03. With regard to submissions of unpublished annotation information, note that new gene and protein names that have not yet been published are being entered as "alternate" (alt) gene and protein names respectively until research is published. This will help maintain the high standard of peer-reviewed scientific data on the site. The FASTA and .GFF files for intergenic sequences were modified to replace PA Number with primary gene name (if applicable) of genes bordering intergenic sequences. This should eliminate any confusion associated with comparing the 'All genes with pseudomonas.com links' and 'Intergenic Sequences' tracks in GBrowse. GBrowse views of the original and updated Pseudomonas aeruginosa PAO1 genome annotations are now on-line. Click here to see the GBrowse view of the updated genome annotations for the first 10Kbp of the genome. GBrowse (Stein et al. 2002. Genome Res 12:1599-610) is the genome browser component of the GMOD (Generic Model Organism Database) project and is a light-weight, easy-to-use, and easy-to-configure genome browser that allows the user to manipulate and visualize genome annotations as horizontal tracks relative to the genome coordinate system, via an interactive web-page. Some features of GBrowse include the ability to visualize simultaneous bird's eye and detailed views of the genome; scrolling and zooming; search by keywords, base-pair range, or relative coordinates; annotation tracks that are customizable by the user and administrator; third party annotation; storage of settings and preferences across sessions; and extension of functionality via plug-ins. It is expected that these features of GBrowse, particularly the ability for third party annotation, will make it a natural and useful extension to www.pseudomonas.com. Added files to the downloadable .zip, .Z, and .sit files of intergenic sequences. File of P. aeruginosa intergenic sequences now available for download. Two annotation updates: they can be found in the Latest Updates section. The submission system is now on-line. Thank you for your patience. The submission system is currently off-line. Please check back later. We apologize for any inconvenience this may cause. Over 50 annotation updates have been made to the annotation data. They can be found in the Latest Updates section.In addition, 75 structural RNAs, including transfer RNA and ribosomal RNA, were added to the database as genes. These RNA genes were given PA numbers in decimal point notations. RNA data can now be downloaded along with other annotations in the updated genome annotation table. The submission system became capable of handling new gene insertion. Any new genes to be inserted would be given a decimal point PA number. Over 20 new annotation updates are now available and they can be found in the Latest Updates section. Minor changes to the PseudoCAP submission forms: now, users can enter multiple PubMed references and Citation Titles are no longer required if their PubMed IDs are provided. New retrieve sequences using PA numbers form is available at the Retrieve Sequence Data section. The sequences can be downloaded in plain text file format. Enhanced interface for the Updated Database Search. Searches now incorporate the Annotation fields (such as PA Number, protein name, gene name etc) as well as the log file of updates to the database (such as update dates and participants). New Updates Log Keyword Search for searching the log file describing all updates to the annotations database. Improved interface for viewing search results. Records can now be reordered, and it is easier to move from page to page. Also, search results can now be downloaded in TAB format. Downloadable updated and original genome annotation tables available at the Get All Annotation Data section. Emails requesting the annotation tables are no longer necessary. Subcellular Localization information on genes is now available via the Browse By Function. The subcellular localization information consists of a classification (eg. Outer membrane protein, Cytoplasmic protein etc) and a rating level that reflects our confidence in the classification. Please note that at this time, only outer membrane proteins have been identified. All class 1 genes (confidence level based on protein name) have been named with gene names, rather than alternate gene names. This means all class 1 genes, that had no gene name but had an alternate gene name, had the alternative gene become the listed gene name. We have a new email address to send your questions and comments to (Send Us Email). The former address "genemaster@pseudomonas.com" will no longer be used. Frequently Asked Questions (FAQ) section reviewed and updated. Version 2001-12-21 of the pseudomonas.com site goes live! This new version contains a set of web-based forms to facilitate quick and convenient submissions of annotation data. We encourage researchers to participate in the Pseudomonas Community Annotation Project (PseudoCAP) to ensure that the P. aeruginosa genome sequence remains a valuable, up-to-date resource. Click here for more information about how to get involved.A link to the new PseudoCyc website, which contains an overview of the P. aeruginosa metabolic map, has been added to the Related Links section of the site. The Annotation Updates section has been revised to include the date of modification for each update. The annotation for PA0336 has been updated. The annotation for PA3556 has been updated. The default search field has been changed from "All Fields" to "Gene Name" on the Database Search Page. This is to encourage users to make their searches as specific as possible and avoid using the slower "All Fields" search option. Answers to common questions we have received from researchers have been posted in the FAQ section of the site. The Annotation Updates section of the site has been revised to acknowledge the Research Biology Department at Chiron-Seattle for their contributions to the updated version of the Pseudomonas gene annotation database. Annotation updates for PA1559 and PA1560 have been added. A Frequently Asked Questions (FAQ) section has been added to the Pseudomonas aeruginosa page. It addresses some of the questions we have received from people with Pseudomonas infections, or from relatives and friends of people with Pseudomonas infections, regarding medical treatments, clinical trials and risk of infection. We appear to be having a problem receiving e-mails sent to the "genemaster@pseudomonas.com" address. We are attempting to resolve this problem and are temporarily routing e-mails to an alternate address, so please continue to e-mail us your questions or comments from the Send Us Email section of the site. We apologize if your e-mails were returned to you. A Boolean search engine has been implemented on the Database Search page. Users can now search the updated annotations database on multiple fields using multiple keywords. Version PAO1-2001-09 of the pseudomonas.com site goes public! An Annotation Updates section, which lists recent annotation changes, has been added to the website. Each gene annotation now contains a link to the corresponding annotation on The University of Queensland P. aeruginosa Genome Database site. A few new links were added to the "Links to More Analyses" section. (Photo Credit: mostly*harmless flickr site). (Photo Credit: Dietrich Lab website).